FAQ’s: More questions about building a website? Frequently Asked Questions about building a new website. WordPress: Over 58% of today’s websites are built using WordPress. It is a powerful, open source tool that offers the most manageable online system for any size business. Content Management System (CMS): WordPress is a CMS system. It allows the owner to edit and add pages, images, products and blog entries to their website. This keeps costs lower as far as paying somebody else to do the work. Hosting: A web host, or web hosting service provider, is a business that provides the technologies and services needed for your website to be published and seen on the Internet. Your website information is stored on special computers called servers that your “web host” runs. Keywords: “Keywords” are words and phrases that best describe your business, your product and what your customers are searching for. Knowing your keywords is important for improving your visibility on the internet. An example might be Personal Trainer, Guest House, Sushi Restaurant or Auto Mechanic. Search Engine Optimization (SEO): SEO is the practice, the fine tuning of your website to increase visitor traffic and conversions ie. more sales. Responsive Mobile Website: This means your site works well on cell phones and tablets. Today more people are searching on mobile devices such as cell phones and tablets. One the highest ranking factors for google is that your website works on mobile devices. Domain Name: A Domain Name is the friendly naming system used to create addresses for web servers and web pages. Domain Names are like phone numbers for the internet. The Domain Name System gives your website a memorable and easy-to-spell address for your web host to make your site viewable and findable on the internet. 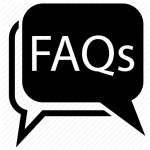 [Read more…] about FAQ’s: More questions about building a website?